Reports say long-delayed Jerusalem-Tel Aviv railway line suffering from severe delays, will not open in October as planned. The Jerusalem-Tel Aviv railway line will make its planned September opening as delays and work stoppages continue to pile up, reports say. The new high-speed train linking Jerusalem to Tel Aviv was supposed to begin operating this September, nearly six months later than the original inauguration date of March 30th. However, experts say that the line is months away from being ready for regular operations and that there is “no reasonable chance” trains could operate safely in time to open in October. According to Calcalist, the project is now expected to be delayed until well into 2019 due to severe engineering failures. The report added that one of the top engineers recently quit effort and sent a letter to the Transportation Ministry warning that the train had major safety issues. In addition, police say that the project has secured failures that need to be addressed. Transportation Minister Yisrael Katz (Likud) has made the project a top priority, and until recently, the line was expected to open on schedule. 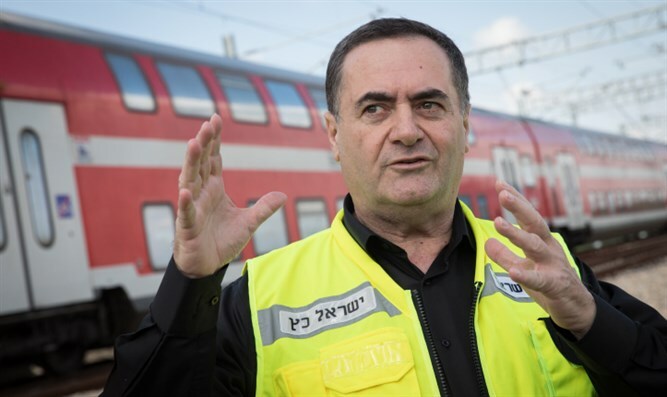 "When I entered the office, I ordered the Transportation Ministry and Israel Railways workers to work immediately to advance the express train between Jerusalem and Tel Aviv, after the project had been stalled for four years," Katz said in January. In February, Globes obtained oral assessments and audit reports confirming that the line will not be safe to use until at least August. Though the State Comptroller warned that completing the construction in a hurry may endanger lives, safety rules continue to be ignored, and "essential coordination checks between the various systems have not yet been carried out," the report claimed. In addition, work is still being done on both the track and the communications systems in the various tunnels. One electrical engineer said there is "no reasonable chance" that the line can be safe and fully functional by the projected opening date, since system tests, especially on the command and control system and the electrical system, must be carried out for at least several months. Running on a double track 56 kilometers (34.79 miles) long, the express station will pass through Ben Gurion Airprt, Modi'in, and Sha'ar Hagai on its way to Jerusalem. It is expected to make four million trips in its first year, and cost a total of 7 billion NIS ($2,032,940,000).